Welcome to the first edition of The Tennessee Stitch with Danielle. For the next few weeks, we are gonna cover some information that I had a hard time finding when I really delved into crochet. They are some-what minor details, but I felt so much more comfortable when I found the information. My goal is to make this info more readily available to crochet beginners. I just want to make it as easy and fun for you as I think it is. It is so much easier to stay encouraged when you have the info you need. There are two basic positions: the Pencil method and the Knife method. When I started out, I didn’t even know how to hold my hook. I felt awkward trying every single way I thought that it was supposed to be held. The answer is so simple. It took me a few weeks to find the information. There is NO right or wrong way to hold your hook. Isnt that nice?! LOL! Both methods are great for right- and left-handed hookers. 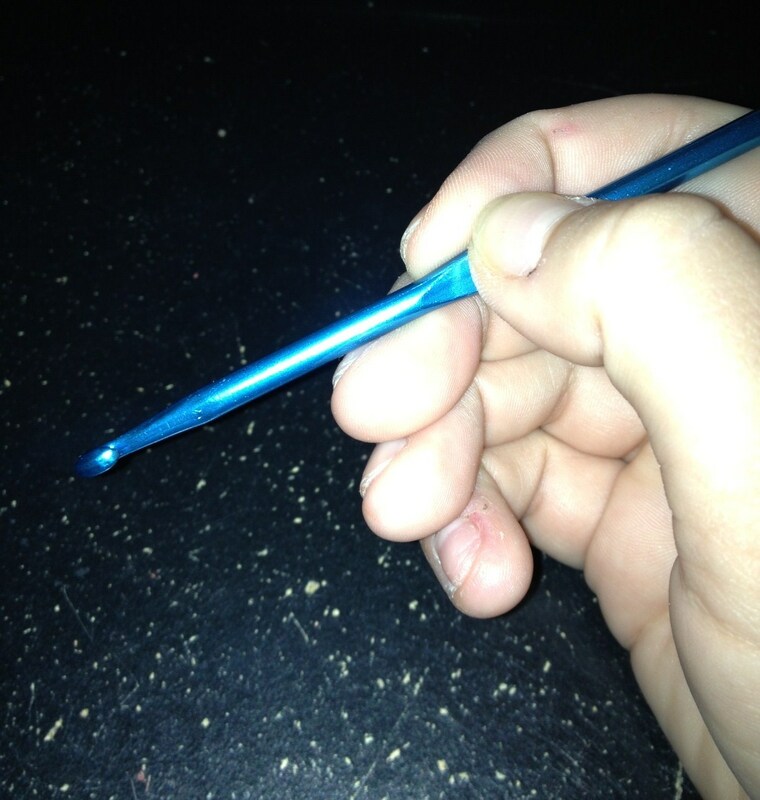 The Pencil method is the more traditional way to hold your hook. Many of us were taught to hold our hooks this way. Grasp the hook just like you would hold a pencil. The handle of the hook goes over your hand. Face the hook towards you. You are now ready to crochet! The pencil method is said to give you the most control. The control would be equal to that of writing with a pencil, hence the name. The Knife method sounds a little daunting. Don’t worry….you’re not going to stab any one or anything. Think more along the lines of holding a dinner knife. This method doesn’t quite give you the same control but it does have its pros. The knife method is easier on your wrists and can help reduce the risk of carpal tunnel. Grasp the hook like you were using a dinner knife and about to cut into a piece of food. The handle of the hook goes under your hand. Face the hook towards you. You are now ready to crochet! I was taught as a young girl to use the pencil method. It never quite felt right. When I finally found the information, I fell in love with the knife method. 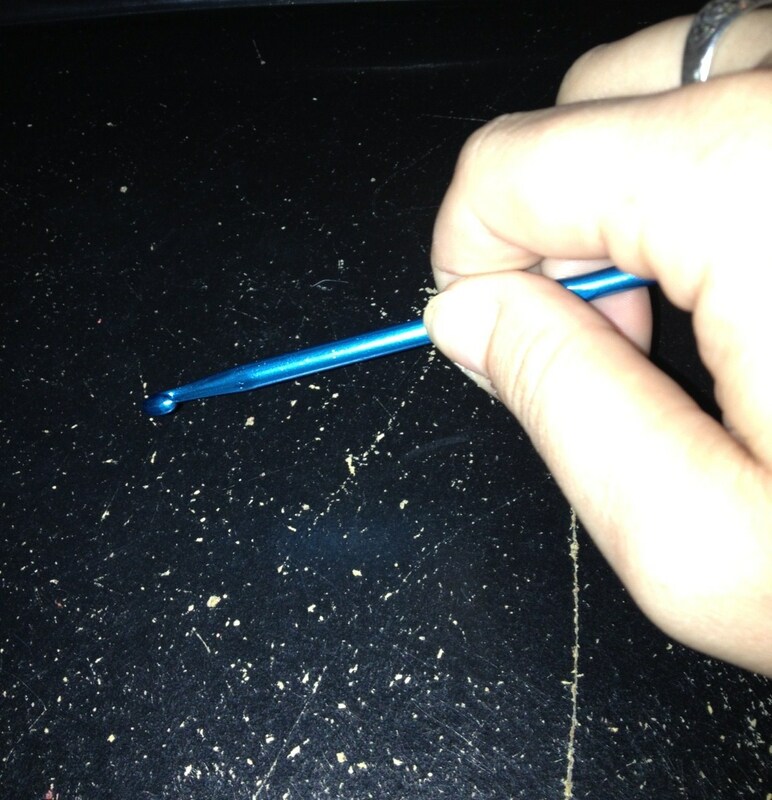 Many fellow hookers say that they prefer the pencil method for general projects, while using the knife method for projects that call for larger hooks. Just remember that it doesn’t really matter which method you choose, as long as it feels comfortable to you! Join me next week as we explore the starting elements of Crochet. Have a fab week! This entry was posted in Advice & Tips, The Tennessee Stitch: Daniele Dyer and tagged Crochet, crochet crowd, crochet hook, crochetto, Danielle Dyer, Facebook Crochetto Join, NO, techniques, The Tennessee Stitch: Daniele Dyer, Tips, tricks. Bookmark the permalink. Don’t know if it’s the shape of my hands, or whatever, but for me the pencil method is impossible. I’ve tried many times to do it, but I can’t do a yarn-over that way. The knife method, though, worked instantly for me. HAHAHAHAHA Mikey!!! Chicken scratch bad OR doctor bad??? Interesting, I use the knife method, and always thought I was holding the hook wrong when I saw my friends using the pencil method. I tried to change, but always returned to the knife method cause it was comfortable to me. Good to know, both are correct. I absolutely love the knife method. 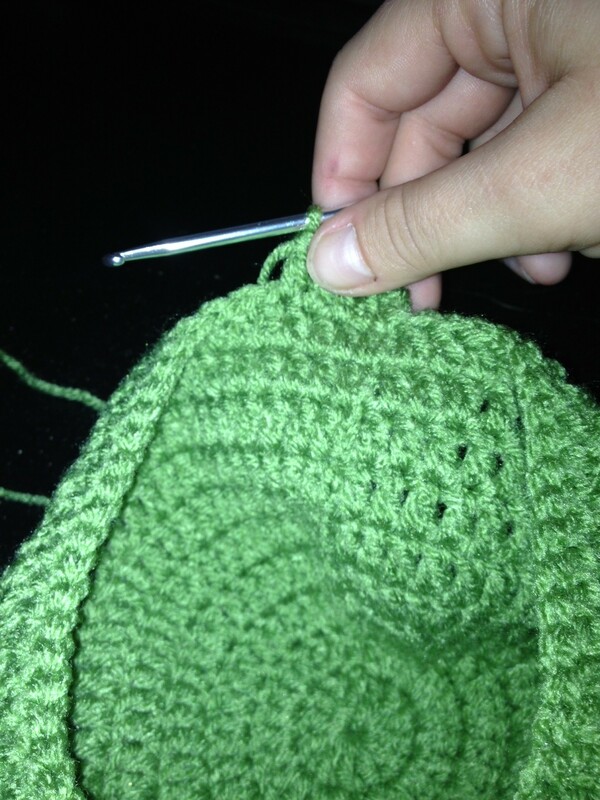 It’s very relaxing on my wrists and more comfortable when I am sitting on the couch crocheting. Nice to see you responding to your fans Danielle! 🙂 Keep up the great work!